After 17 years, when will this Over-the-Rhine development be finished? CINCINNATI -- Walter Reinhaus has spent more than 17 years trying to transform an old industrial building in Over-the-Rhine into an affordable place where artists can live and work. But a vote last month by the city’s Historic Conservation Board has him worried that getting the project completed at 24 W. McMicken Ave. will take even longer. “I would say I’m stuck,” Reinhaus said. Reinhaus argues that for his development to be successful, he must make certain modifications to the three-story structure. He contends that members of the Historic Conservation Board are contradicting approvals that their predecessors gave him years ago to make those changes. During a Nov. 6 meeting, the board gave Reinhaus the go ahead to add balconies to the eastern side of his building, overlooking a parking lot adjacent to it. 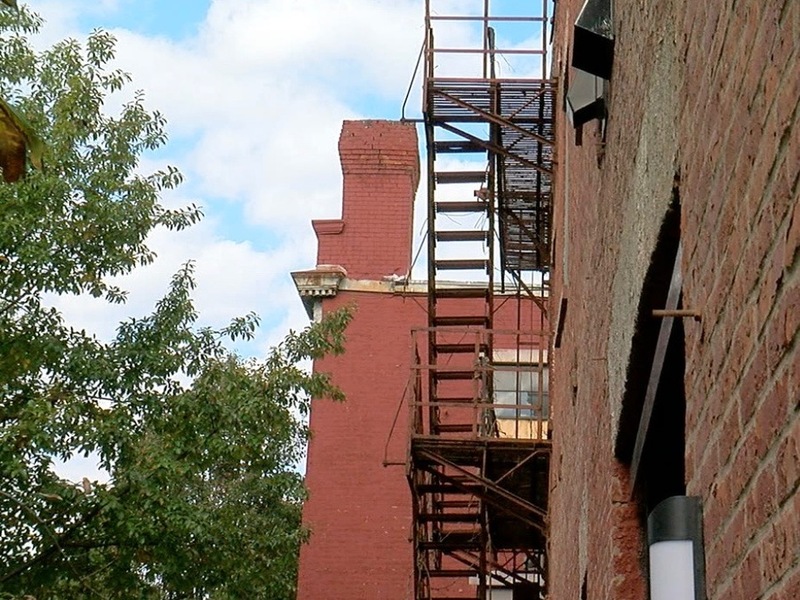 But the board denied his requests to add balconies to the front of the building overlooking McMicken Avenue and to use a spiral staircase to connect two levels of balconies on the side. City officials argue Reinhaus hasn’t made a compelling case for the alterations he wants to make to the building, which sits within the Over-the-Rhine historic district. He said he would appeal the board’s decision. However the case turns out, local experts say it illustrates how complicated it can be for independent developers without a lot of resources to transform the neighborhood’s historic, vacant buildings. Reinhaus is not from Cincinnati originally, but his history in Over-the-Rhine goes back nearly a generation. He moved to the neighborhood from Chicago in 2000 after he visited and fell in love with its old, decaying architecture and the people who lived there, he said. 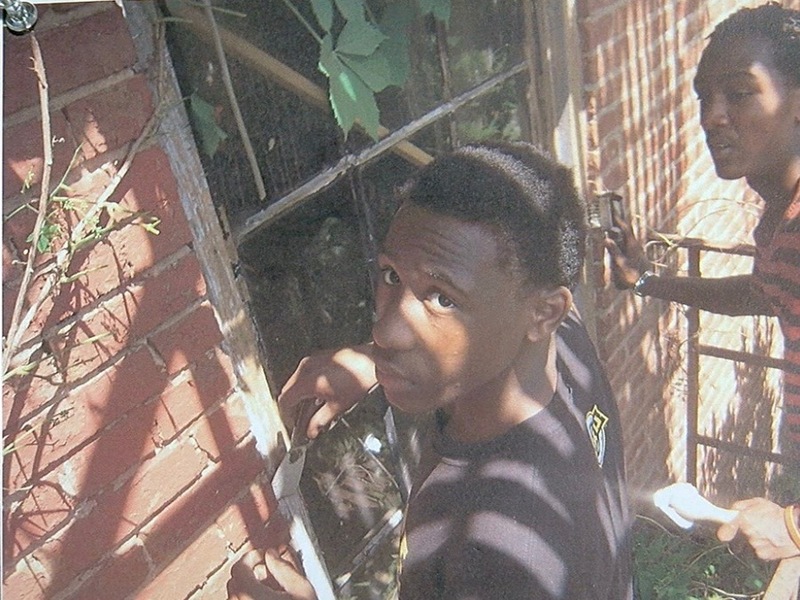 He got involved in the neighborhood and began mentoring young people. 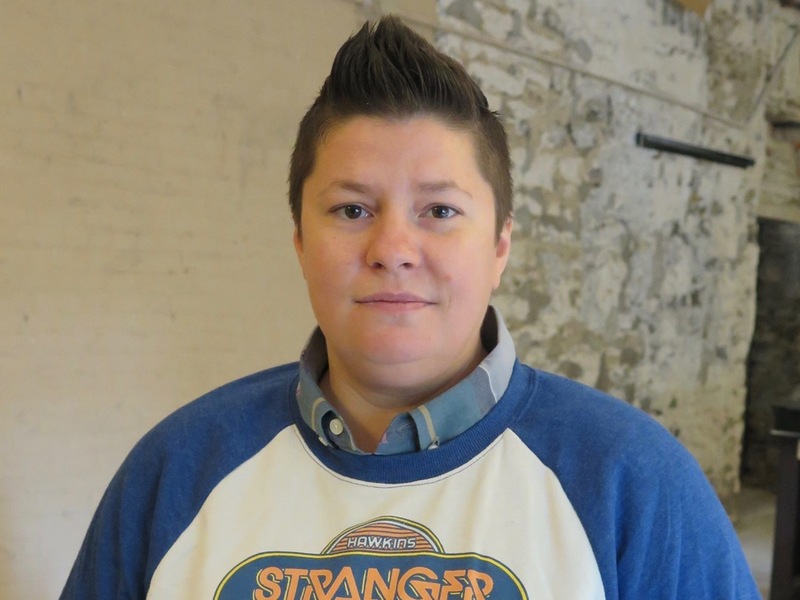 He served for about five years as president of the Over-the-Rhine Community Council and was instrumental in helping to get the northern half of the neighborhood designated as historic. Reinhaus did not fight in the camp that wanted to gentrify the neighborhood, Morgan said, and he didn’t fight in the camp that advocated for the people experiencing homelessness who populated the area. 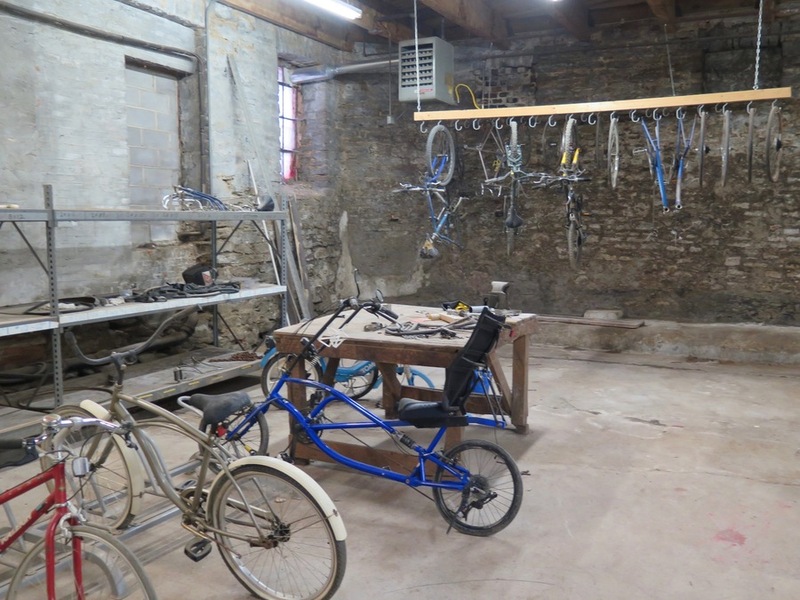 To that end, Reinhaus used space in his property for a community bike shop where he taught kids in the neighborhood how to fix up bikes. For a while, he also had a nonprofit coffee shop in the building that served as a gathering place and trained neighborhood youth for hospitality jobs. But city officials said the bike repair shop and coffee shop, while popular with neighbors, had to be shut down because Reinhaus didn’t have the proper city approvals he needed to operate them safely. Plan not up to code? Reinhaus maintains he worked through all the city’s concerns and, slowly but surely, has been bringing the building into compliance with the city’s codes and requirements. Dahlberg confirmed that city departments have signed off on the plans Reinhaus submitted. The next step, Reinhaus said, was to get two Certificates of Appropriateness from the Historic Conservation Board that would have paved the way for him to move forward with the building’s redevelopment after all these years. It was a hurdle he hoped would be easy to clear because of approvals he had received from the board back in 2002. But Dahlberg said those approvals expired because Reinhaus had not completed the work and because zoning and building codes had changed. “Mr. Reinhaus’ proposed project is required to be reviewed against the most current versions (of) the codes as it true of all projects when codes are updated,” Dahlberg wrote. Reinhaus maintains that he had a permit for work on his building that was approved in 2015 and current up until the time he appeared before the Historic Conservation Board last month. This is what's left of the bike shop that used to be located at 24 W. McMicken Ave. But Dahlberg directed the city plan examiner to reverse his approval of Reinhaus’ plan around the same time he responded to WCPO’s questions about the development. A spokeswoman for city Buildings & Inspections said Reinhaus’ plans were “re-reviewed due to questions that arose during the staff review process for his appeal to the Historic Conservation Board,” not because of WCPO’s questions. Reinhaus is working through the appeals process. And while Dahlberg maintains that the city is asking Reinhaus to follow the same rules as everyone else, Reinhaus said he thinks some city officials have lost sight of the need to improve the quality of life in Over-the-Rhine for all its residents. Although Reinhaus isn’t one of those lifelong residents, he said he believes his plan could help them become part of the neighborhood’s revitalization. The questions now are whether he will get the approvals he needs to move forward and, if so, how long it will take to finally get the job done. 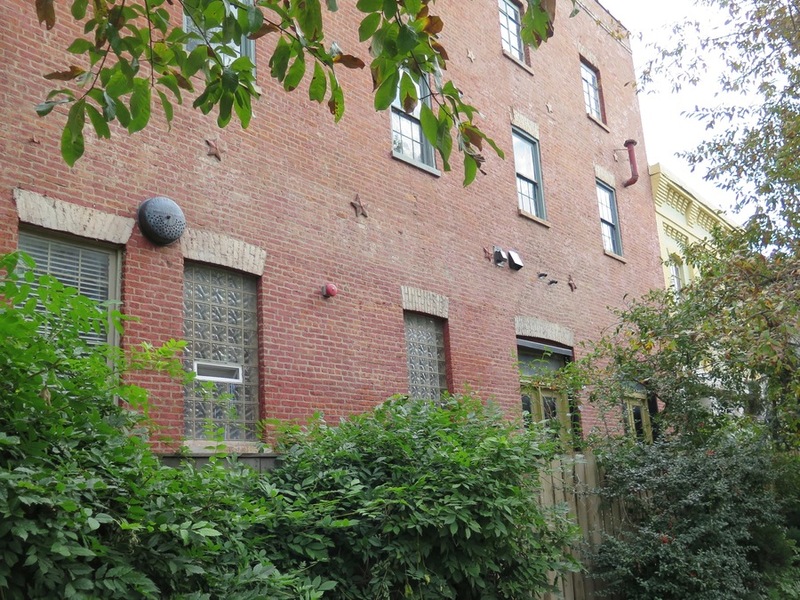 An exterior view of the old industrial building at 24 W. McMicken Ave.